The Pain of Hidden Agendas . . . The older I get, the more I can learn from my past mistakes (and there are so many to learn from)! Last evening I watched a Clint Eastwood film, Trouble with the Curve. I enjoy Clint’s newer films far more than his earlier “spaghetti westerns”, mainly because they are filled with so much humanity and life lessons. I guess old age, both for Clint and myself, bring a different perspective about life than when we were younger. Anyway, I won’t give away the story too much other than to say, Clint is an aging baseball scout for the Atlanta Braves and much of the huge emotional and communication barrier between this widowed father (Clint) and his now grown daughter is the result of “hidden agenda”. Instead of telling the truth, the father wants to protect his daughter from harm (and his own incompleteness as a single parent), and as such sends here away for much of her young life; boarding school, surrogate family, etc. All the while the daughter believes her father doesn’t care or love her, so becomes an overachiever to try to win back Dad’s affection. When they finally do get back together, there is no common ground or honest communication between them. And all because of “hidden agenda” and the inability to deal with secrets openly and honestly. Both father and daughter have lived their lives under the wrong assumptions, causing much pain and mental suffering. Despite this sad synopsis of mine, it’s actually a very good film, a feel good film, and a film with a major life lesson. Hidden Agendas damage relationships, even with the best of intentions. 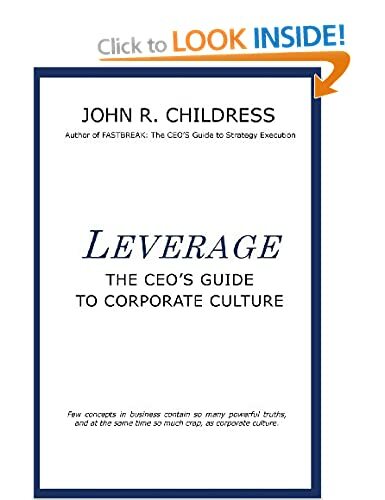 Hidden Agendas are also one of the major barriers to effective teamwork, and this is especially damaging when it occurs among the senior executive team. Vice President X doesn’t trust VP Y because of something she thinks Y said or did. Both are upset at each other, yet can’t seem to sit down and talk it out openly, which when they do often leads to the realisation that both have misunderstood the incident. Not only does this hidden agenda impact the ability of X and Y to work effectively together, but also impacts the entire senior team, who now have to either take sides or tiptoe around both. And it definitely impacts the next level of managers, who see this “standoff” happening and feel caught in the middle. More often than not, we effectively deal with one or more such hidden agendas in our senior team strategy alignment workshops, since effective strategy execution takes everyone being open and working fully together. 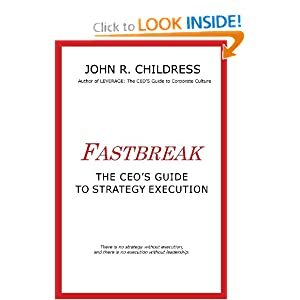 Hidden agendas kill business effectiveness and slow down strategy execution. The best approach? An honest and direct conversation, with real listening on both sides and the intention of putting it to rest! And to most people’s amazement, the issue quickly shrinks down to the proper perspective and can be easily dealt with and buried. This entry was posted in consulting, Human Psychology, John R Childress, leadership, Life Skills, Organization Behavior, parenting, Personal Development, Psychology and tagged baseball, baseball scout, business strategy execution, Clint Eastwood, hidden agenda, secrets and lies, teamwork. Bookmark the permalink. 6 Responses to The Pain of Hidden Agendas . . . I realize that the point of the post is to highlight the cost of hidden agendas with respect to corporate effectiveness, but it also has implications for politics. I’ve never been one to believe in conspiracy theories and this is one reason why. The effort to hide a large conspiracy, prevent whistleblowers, cover up tracks etc would likely cripple most governments and make them even more ineffective than they are already. Malcolm: the silos and interdepartmental barriers to information flow are so strong inside our government that I feel a conspiracy could survive, although eventually things do leak out. Agendas are hidden because many times people aren’t able to articulate what they really want. So, as you point out in the last paragraph, have an open dialogue about what you’re expecting. In the end, it all comes down to direct communication. John, couldn’t have read this post at a more apt time. I find myself leading a company, trying to drag it out of a crisis, while there is absolutely no trust between the directors. I experience the negative effect of “Hidden Agendas” everyday at work. Wish I could inject some common sense into them. Raunak: Oh how many times I have wished the same thing. Common sense is so simple, yet so hard. Maybe the best thing is for you to be a role model.